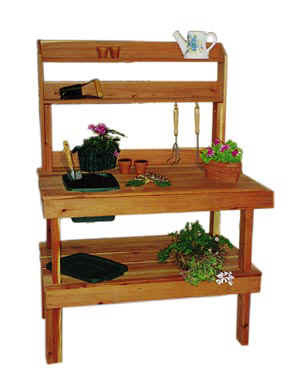 A nice little potting bench. Add to that some 1/2" brass rods and rings. Not much else to tell you! We'll post the finished results in a few more weeks.